Delight your better half with an exquisite jewel that holds her dream - yes, the diamonds. 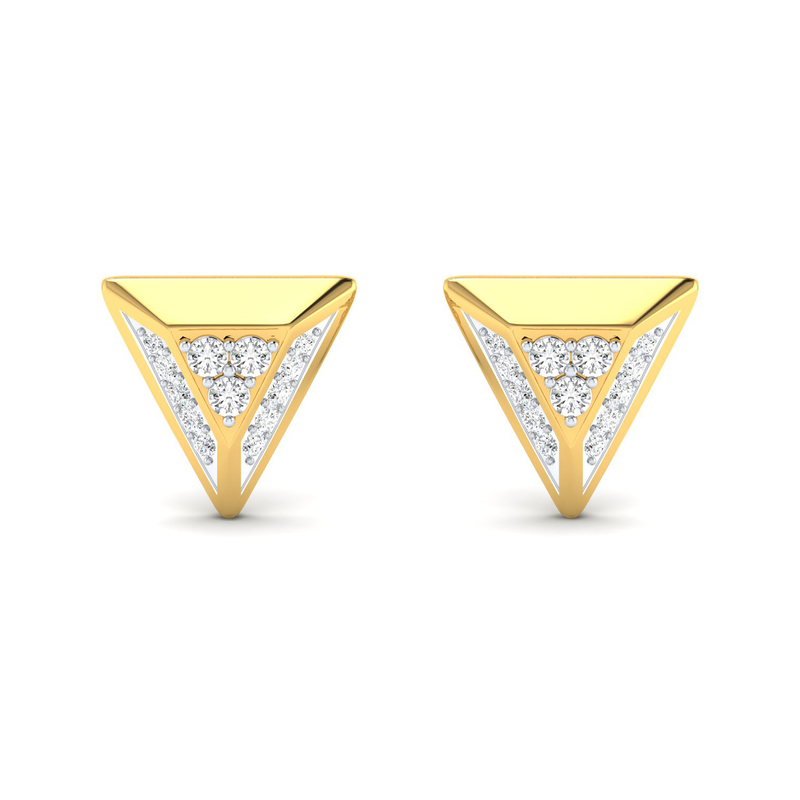 If you don't agree with us more, this Tiny Trigon Diamond Studs is something you should begin your search with and we bet, after seeing this, you won't need to see anything else. Crafted in gold and embellished with diamonds, it is an alluring pair that she will hold close to her heart. Go for it!